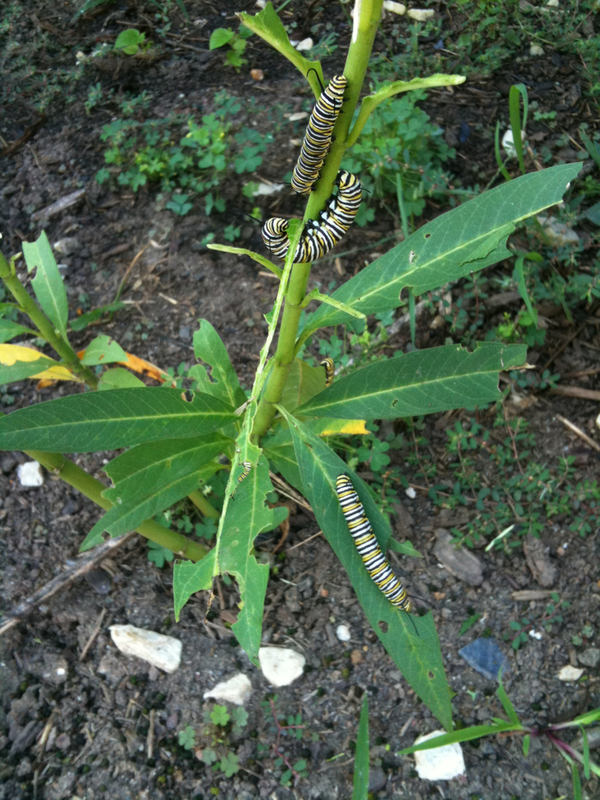 Several Monarch butterfly (Danaus plexippus) caterpillars feeding on Scarlet Milkweed (Asclepias curassavica) plants, spotted during a photowalk through the Children’s Garden at Hollin Meadows Science and Math Focus School. This entry was posted on September 3, 2011 at 3:32 pm and is filed under Apple iPhone, butterflies and moths, digital photography, education, natural science, photowalking, wildlife photography. You can follow any responses to this entry through the RSS 2.0 feed. You can leave a response, or trackback from your own site.